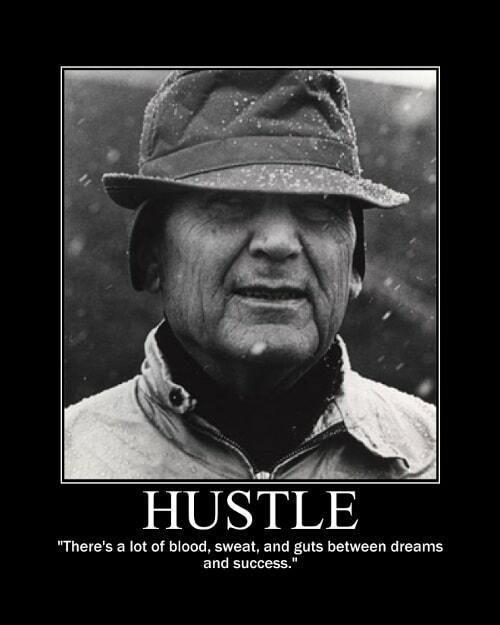 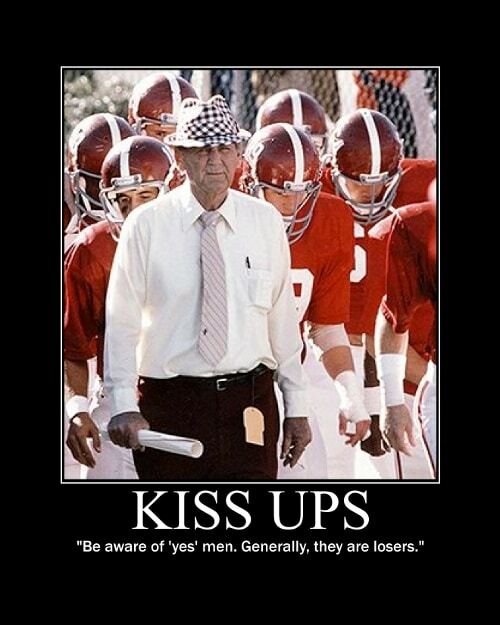 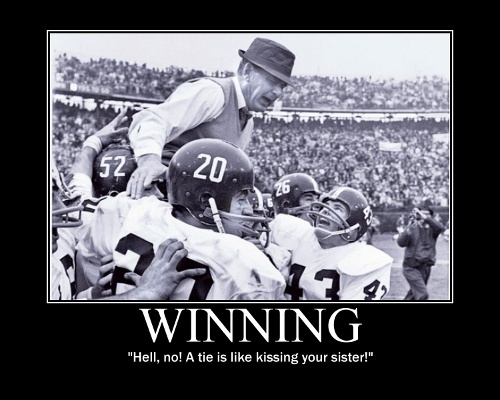 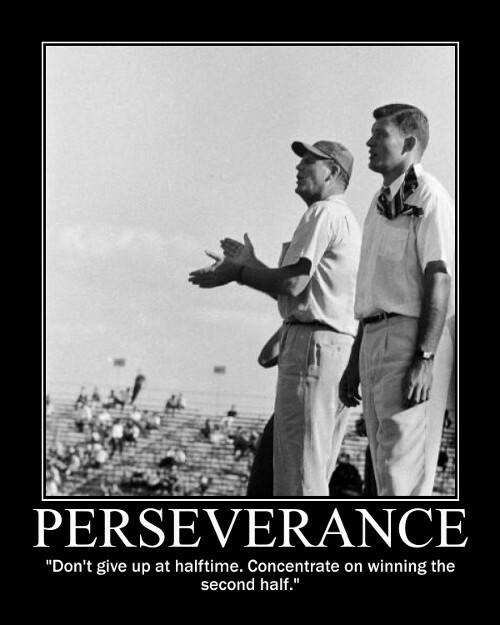 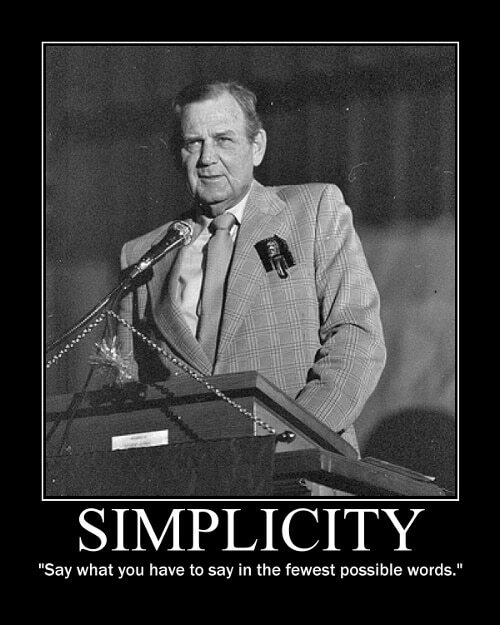 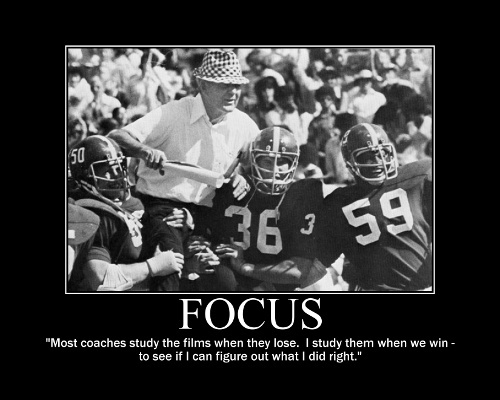 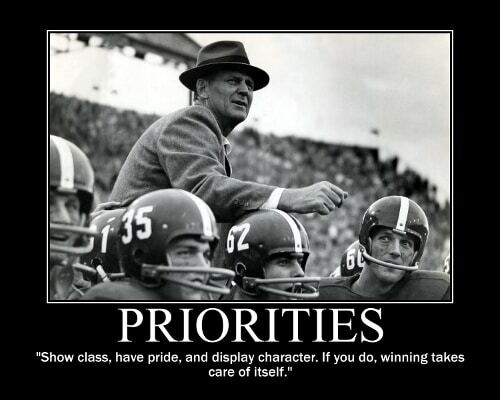 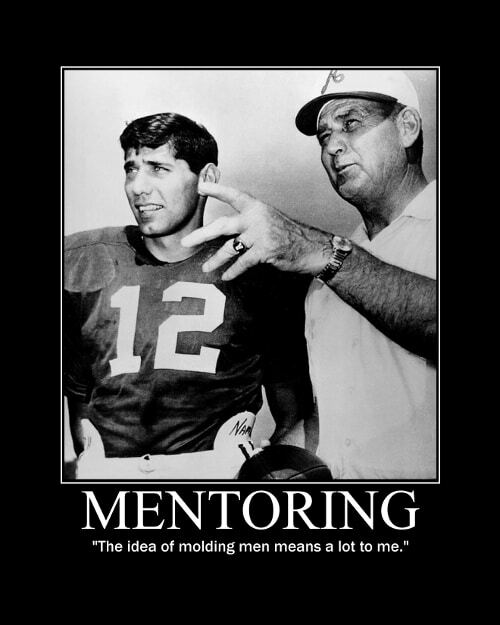 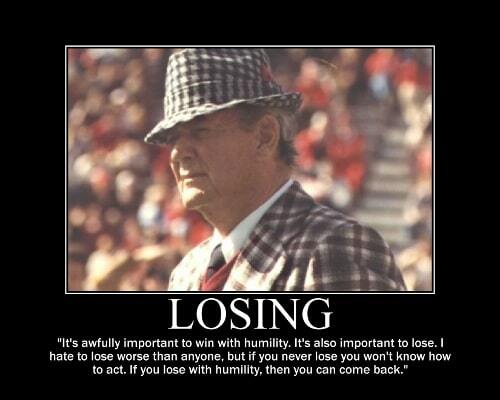 Paul “Bear” Bryant was a coaching legend. 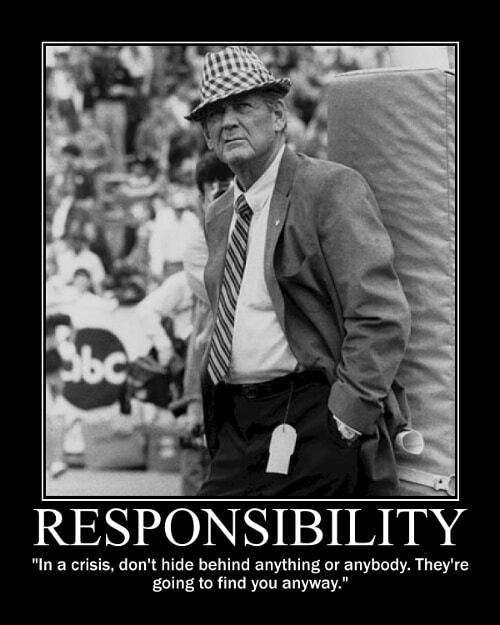 During his 25 year tenure at the University of Alabama, he was college football’s winningest coach, leading his team to six national championships. 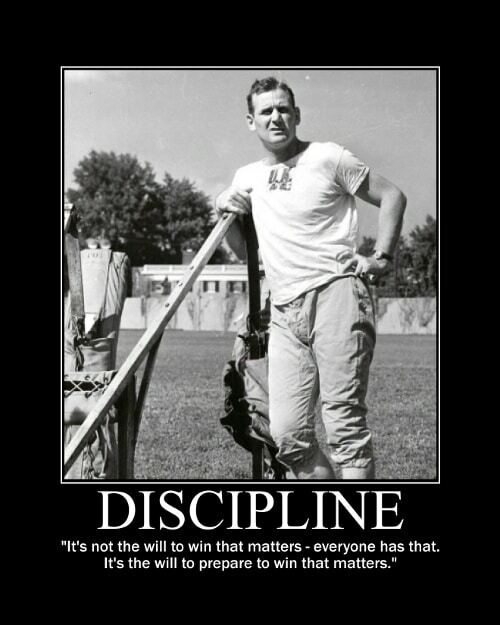 As a young man he was tough-he earned his famous nickname by volunteering to wrestle a bear at age 13 and played in a game with a partially broken leg during his time as a college player. 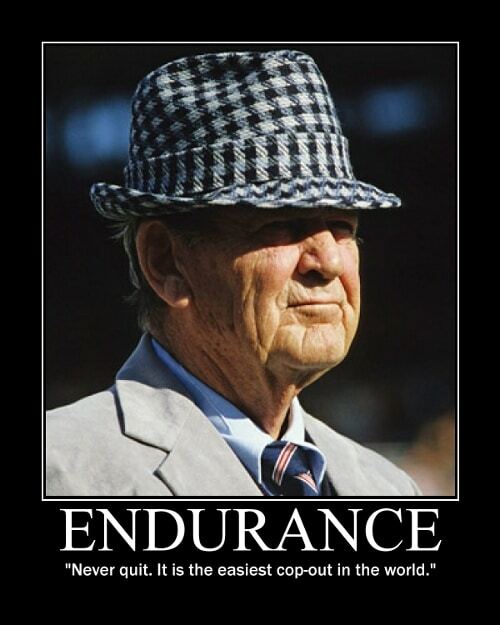 He carried this toughness over to his coaching where he demanded excellence of his men on and off the field, and looked dapper while doing it. 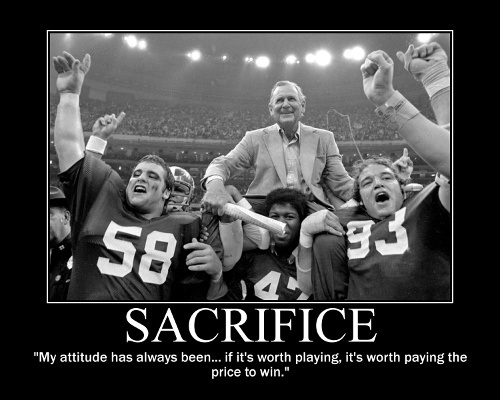 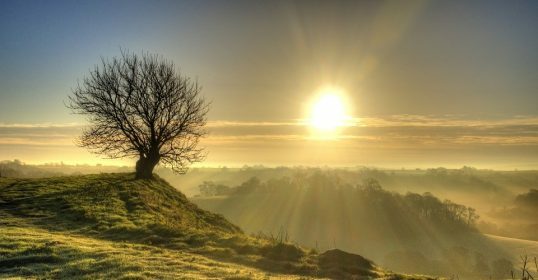 Losing was not an option, and sweat equity made sure of it. 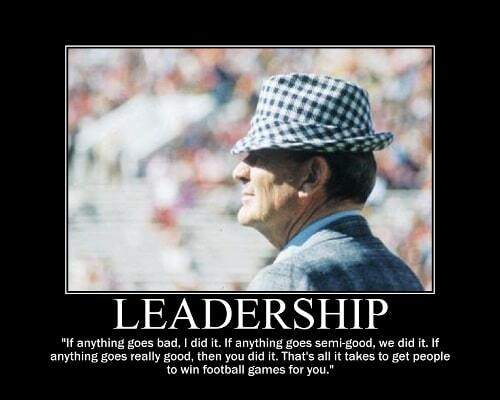 The inspiration he doled out applies not just to football but to the grand game of life.